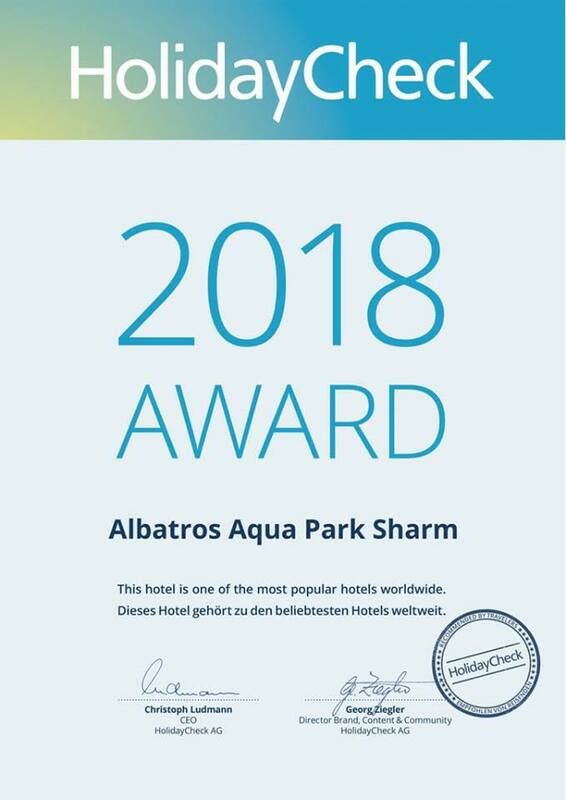 Albatros Aqua Park Sharm has been awarded by HolidayCheck 2018, HolidayCheck represents the best German website for the reviews about worldwide hotels, the users consider this website extremely reliable and perfect to plan their holidays. 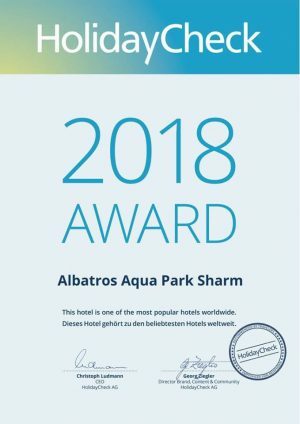 With more than 1,000.000 hotel reviews, 880.000 travellers’s pictures and 12.000 holidays video, HolidayCheck is today one of the best European website for information about travels and holidays. Thanks to the positive feedback of our clients they have rewarded us for the excellence of our service.and we really hope to reconfirm this result at the end of this season 2018!